Diet pills using chili (capsicum extract) as an ingredient are en vogue presently with another Capsiplex clone appearing on the market. Capsiplex was the original chili diet pill and was released at the end of 2009 – the following few months has seen several competing fat burning diet supplements trying to capitalise on the success of the original. Capsipure was recently featured in OK Magazine – offering readers the chance to win a bottle by answering a ridiculously simple question. 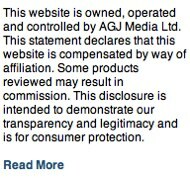 This competition is now closed. Manufactured by OmniActive Health Technologies and using a proprietary blend of Capsimax. 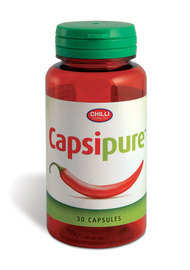 Capsipure follows a similar ideology to its chili based competitors by claiming that red hot chili pepper (capsicum extract) taken in large doses can have a profound and positive and effect on the bodies ability to burn fat. The claims are not without substantiation either with many independent trials concluding that red hot chili does have the ability to burn calories. Highly unlikely to produce a side effect although fat burners by their nature can have a tendency to make the user feel a bit jittery – this is due to the increase of the metabolism. This is not necessarily a negative as an increased metabolism can produce additional energy and provide the necessary fuel for exercise or at least mobility. 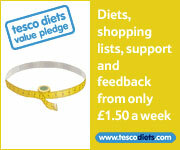 Available to buy from selected Holland and Barrett stores and also available to buy at discount via their online store. Anything that contains capsicum extract does have a propensity to work – however the best example of a fat burner using this ingredient is Capsiplex. 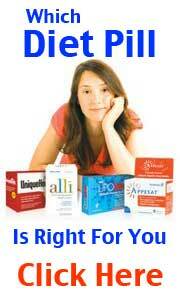 If you do wish to use a fat burner we recommend you give Capsiplex serious consideration.